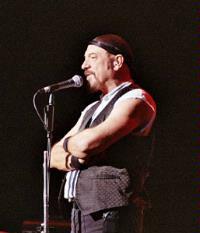 The show was billed as “An evening of Orchestral Jethro Tull with Ian Anderson.” It is sometimes difficult to separate Ian Anderson from Jethro Tull but they are two very different beasts. Last year, Tull toured with Lucia Micarelli and it was the first time I saw the band either play someone else’s material or give that person a solo spot during the show. 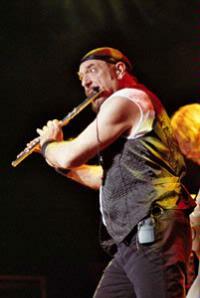 While this may seem odd and aggravate those die hard Tull fans, it seems that it is a direction that Ian Anderson is comfortable with. 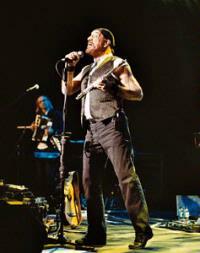 An Ian Anderson solo show is a showcase for whatever he feels like it to be. 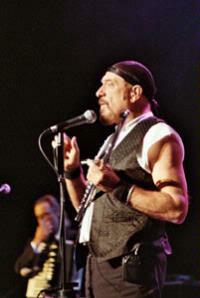 The Jethro Tull songs get re-arranged to fit the confines of the band that he brings along. Although I enjoy hearing the original versions in all of their blues rock glory, I also enjoy the “new” versions. 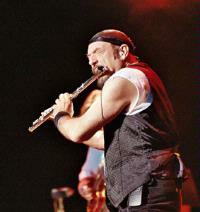 It keeps things fresh for the performer, in this case being Ian Anderson. The opening of the show let you know that this was an Anderson solo show. He came out playing “Eurology” off of Rupi’s Dance. I have never seen him play that song live so it was nice to get an obscure track to open proceedings. Knowing that people wanted to hear Jethro Tull material, he went right into “Living In The Past” next. Being that the song is fairly mellow, it did not vary much from the original version (to my ears at least). Throughout the show, Ian and the orchestra played a number of songs that I do not think are on any Tull album or solo release. I had never heard of “Sefika’s Tango” but Ian’s in between song banter gave us a little comical insight into these tracks. Another Tull classic, “Life Is A Long Song,” was next. Like Lucia Micarelli last year, Ian brought along a violinist named Ann Marie Calhoun. She accompanied him in a bit of classical “fiddle” playing in a song called “Bluegrass In The Backwoods.” The interplay between the two of them was fun to watch. They seemed to really play off each other both musically and comically. You might be forgiven for thinking that this was an Aqualung show because Ian Anderson wound up playing 6 out of the 11 songs on that album. “Wond’ring Aloud” was the first of the Aqualung tracks. Rupi’s Dance got another airing with “Griminelli’s Lament.” That track was also featured during last year’s Jethro Tull set. Ian, always being the well rounded performer, gave us little stories before many of the songs. He has a great dry sense of humor that makes his shows special. Another new track called “Mo’z Art” preceded more Aqualung material. “Cheap Day Return” and “Mother Goose” sounded a little different with the current set of musicians and the versions were a little shorter. Judging by the story Ian gave us, the next song played (“Runty”) was about Ms Calhoun’s cat. I’m not quite sure I heard it right because the crowd started laughing but there you go; more wit and wisdom from Ian Anderson. “Bouree” ended the first set before the band took a 15 minute break. Fifteen minutes seemed like an hour but they came back to “King Henry’s Madrigal.” One of the highlights for me was the extended version of “Thick As A Brick” that was played. 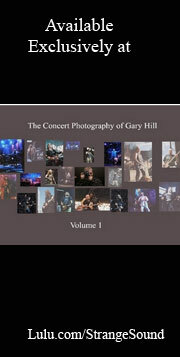 Very often, when it is part of a Tull set, we get only a few minutes but this time we got quite a bit more. Next up was a medley of sorts but all I could really make out was “America.” Ian then reminded us that it was only 70 days until Christmas. The crowd let out a disbelieving groan before they realized he was right. Either way, it was a good segue to “Pavane” off of the Jethro Tull Christmas Album. I was surprised that “Aqualung” was played so early in the second set as it is usually one of the last songs played but it was nice getting a curve ball thrown at us. We knew it was going to get played but when was the question. Another Christmas Album track followed in the form of “God Rest Ye Merry Gentlemen.” “My God” is always a welcome track and I’m glad that off all of the Aqualung tracks chosen, he still decided to play that one. The second set ended with a great rendition of “Budapest.” I’m glad that Ian Anderson and Jethro Tull have decided to keep this one in the set. Now, no Tull related show is complete without “Locomotive Breath” and they came back playing it for an encore. I kept waiting for the giant balloons but sadly they were left off of the tour. It must have been an entry visa problem. More - and LARGER - pics from this concert are available in our members' area. Log in on the main page or sign up today - memberships start at just six bucks. This review is available in book format (hardcover and paperback) in Music Street Journal: 2006 Volume 6 at lulu.com/strangesound.